Larry Berman is a Co-Founder of ETF Capital Management and the Prosper Experiential Media. Larry is well known as the host of Berman’s Call on The Business News Network (BNN). His qualifications and nearly 30 years of industry experience are extensive. Larry is a Chartered Market Technician (CMT), a Chartered Financial Analyst (CFA) charter-holder, a US registered Commodity Trading Advisor (CTA), and holds a BA in Economics from York University. Larry began his career as a Toronto based investment advisor. Shortly thereafter, he completed a technical internship in New York with the Market Technicians Association (www.mta.org) in 1994, where he studied the techniques of many top Wall Street technicians. Prior to founding ETF Capital Management, Larry was Chief Technical Strategist and Managing Director for CIBC World Markets -where he was ranked as one of Canada’s “Top 3 Analysts” including #1 in fixed-income according to Brendan Wood institutional investor surveys. Larry was also a senior technical analyst for Thomson IFR in Boston and senior technical analyst and trader for Marleau, LemireFutures in Toronto. Larry is the primary author of the textbook for the technical analysis course offered by the Canadian Securities Institute (CSI), which is the basis of education for technical analysis in Canada. Larry is past President of the Canadian Society of Technical Analysts (www.csta.org), past Vice-Chairman (Americas) of the International Federation of Technical Analysts (www.ifta.org), and past President of the Market Technicians Association (www.mta.org) -where he is currently the subject matter expert for behavioural finance. Larry is passionate about educating investors and giving back to the community. He is an active supporter of brain research at the Baycrest Foundation, and sits on the investment committee for the Children’s Aid Foundation, where he established the Berman Family Scholarship to help adopted youths in financial need to fund a post-secondary education. As a sought after speaker, Larry lectures on global macro-economics, behavioural finance, and technical analysis. 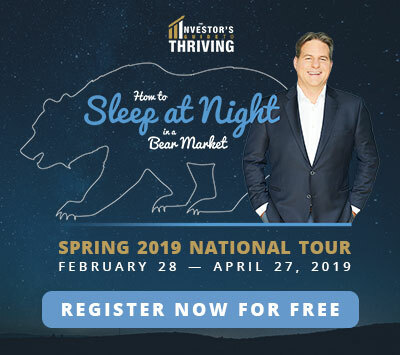 Each week on BNN’s Berman’s Call, Canadians look to Larry Berman to deliver insights about market performance – with a focus on education, asset allocation, and prudent risk management.